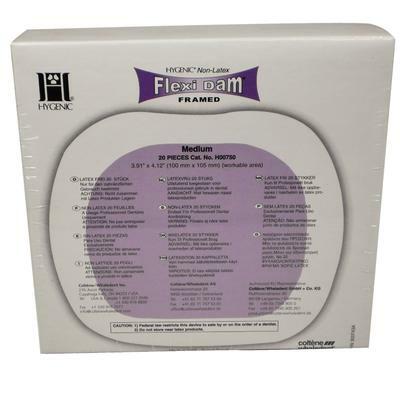 The Hygenic Nonlatex Flexi Dam has a built-in frame. This flexible frame is designed with a working size of 100 mm x 105 mm to ensure easy placement without getting in the way. The smooth surface of the plastic frame helps to maximize patient comfort when positioned on their skin.